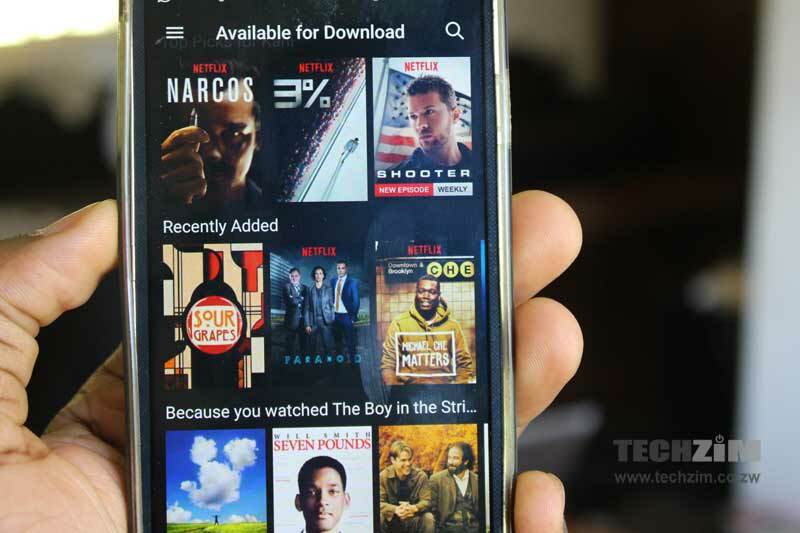 Netflix the world’s most visible video on demand service and the poster child for internet TV has announced a service update that’s been long overdue – its subscribers can now download movies and series for offline viewing. This means that users who only have access to the best type of internet in specific places like at home, the office or a WiFi hotspot can save shows and enjoy them when they are on the go or when they aren’t online. It’s currently available on the latest version of the Netflix app and it’s only for selected content for now (Netflix has promised to extend this to more movies and series). It’s hardly a new type of feature and though it has been earmarked for all viewers including those in mature markets it has a special appeal for Africa. Other Video on Demand (VOD) services like Naspers’ ShowMax and Nigerian-born iROKO (both focused on the African market) have had this functionality for a while together with other options like data usage management through the adjustment of video quality. The main reason for this has been the challenge that markets like Africa face with broadband such as cost (internet access especially via mobile costs an arm and a leg) and limited access to reliable, fast connections. This has made VOD services, in all their excitement and offer of a new entertainment experience, a dream for most people. Workarounds like offline viewing and data management open up VOD viewing to part of this same marginalised market. The fact that Netflix has caught up with the rest of the market adds to the VOD giant’s value proposition in Africa and puts heat on other VOD services and the pay TV giant DStv. There’s also the fact that in doing so Netflix as a major player in the VOD space is expanding its reach in a nascent market that’s already attracted a lot of attention. Netflix not only delivers the conventional VOD experience but in the new markets that it entered at the start of 2016 it has benefitted from a strong brand name that’s been associated with “the future of experiencing TV” ( Netflix = VOD?) and a catalogue that’s been well-publicised thanks to the successes of its own productions – Netflix originals. Delivering all this to more potential subscribers will likely impact how entertainment is delivered across the continent. WhatsApp and Messenger video calling mobile data consumption.